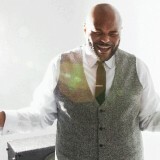 Spin This: "My Love," "I Can't Make You Love Me"
It’s been over a decade since Ruben Studdard took home the glorious crown of American Idol champion in the show’s second season. But time has a way of showing us that fame can be fleeting, and since then Studdard – once built up as a predecessor of Luther Vandross tapestry and even praised by soul songstress Gladys Knight as the “Velvet Teddy Bear” – has struggled to keep his crown shiny in an era where R&B is no longer encapsulated with soul and is only hanging on to hip-hop’s shoulders as its handicap. Since the show, Studdard has entertained various projects to help bolster his stardom, including national tours in the stageplay Ain’t Misbehavin’ more recent stint on the hit weight loss reality-TV show The Biggest Loser. But music remains Studdard’s bread-and-butter, and lately the music has less calories than I Can’t Believe It’s Not Butter. After departing Clive Davis’s J Records once the company went under, the singer released 2009’s Love Is, a collection that tried to put him in the companies of contemporary R&B crooners like Joe and Ginuwine. The collection failed to match the opulence of earlier projects (Soulful). He later found a home on the Shanachie label, releasing Letters from Birmingham. But being on the Shanachine label, a company that produces good soul records but with very little promotion and pocket money, seemed like a dead end for Studdard. Hoping to get back on track, he surrounds himself around hitmaker David Foster on Unconditional Love with the hopes of giving him a little taste of sophisticated satisfaction, the kind that has been whipped on superstar idols like Whitney Houston and Celine Dion. Now on the posh Verve label, Studdard pulls off a covers disc that explores the depths of dreamy Quiet Storm. Without any original material in sight, the disc doesn’t add any newly chiseled jewels to his Idol crown. And to set the record straighter, this isn’t the first time at the back-in-the-day rodeo: I Need an Angel found him re-cutting black gospel favorites. 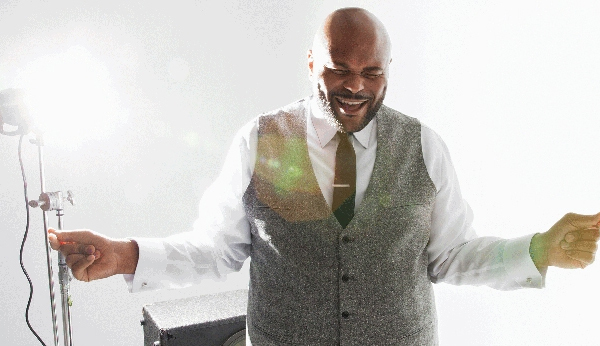 But with his recent discs failing to produce memorable singles for his live show, Studdard returns to the Idol motif that made him a star from the very beginning. Only two new tracks, the “Never Too Much”-sounding “My Love” and the Philly soul-tinged “Meant to Be” rise to the occasion to give him something all his own. Except for the usual pandering with folk-pop in attempts to make them a bit sexier for late night r&b playlists (“They Long to Be (Close to You),” Neil Diamond’s “Hello Again,” Blake Shelton’s “Home”), there’s no big risks made on the disc. Foster’s choice of production on this affair is sweetened enough for black radio standards, using the occasional drum punch and swelling strings to accentuate Studdard’s swagger. But it seems as if he’s being penalized with musical performances that are subpar to the originals. Only the cover of “I Can’t Make You Love Me” rises up and above the occasion. It does a fair job in differentiating it from Tank’s more recent version. The secret to its smoldering formula lies in its creepy, but very subtle bass lines, which mimics the soul of Marcus Miller on Luther’s slow ballads. Studdard remains in the Luther camp when he attempts at recreating the Marvin Gaye/Tammi Terrell gem “If This World Were Mine,” but the familiar standard falls into the cracks of production mediocrity and fails to rise to the epical prowess of Vandross’s 1983 recreation. The band never rises above a whisper and his duet partner, jazzy singer Lalah Hathaway, doesn’t even try to reach the confidence levels of Cheryl Lynn. And when he tries to dip into Teddy Pendergrass bravado on “Close the Door,” Studdard seems far too relaxed, failing to grasp hold of the severity of the powerful and emotive lyrics penned by Gamble/Huff. For years, Studdard has tried to avoid the Luther comparisons. And as a guy trying to discover his own voice in the world of artistry, the soul singer with the velvety recording voice struggles to find his own uniqueness in the Idol aftermath. But the unique pairing of Studdard and Foster seems flabbergasting when viewing it through the lens of Studdard’s type of R&B. Just recall how very little soul was captured on the Foster-produced holiday album for Mary J. Blige. 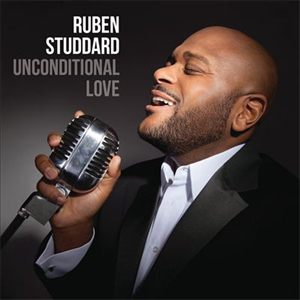 Nevertheless Unconditional Love is a smart attempt in giving Studdard the kind of visibility that his seismic voice deserves. Having Foster on Studdard’s album only validates his presence in the music arena. Unfortunately it doesn’t do enough in moving in him up the ladder of r&b legends. Instead it reminds us that he likes to sing to the music of legends.